These days my daughters have begun to implement the policy “early to bed even earlier to rise”. I like to believe it is because they miss us when they sleep and are consumed by their love for us, which makes 4:30am slightly more bearable. Our bed has always been a place for everything: dogs, kids, breakfast and it was not an accident that one of Madeleine’s first words was “snuggle”. We are an “I love you”, kisses and hugs family because I will never let a day go by where anyone that lives in my heart questions my love for them. Love is simply too important. I’ve felt this baby move much earlier than science would suggest possible, but I’m sure, because I’m the only one that knows her. The stirrings of pregnancy are like a secret only a mother can understand. We are alone together for such a short time before I have to share her with the world. I remember when Charlotte was born and since she was the first grandchild on both sides, she was constantly being adored by everyone—but when she was out of my arms and our heartbeats were no longer inches apart, I missed her like I would if I had lost a part of my body. I recognize by having 3 children that the individual attention allotted to each will be even less than before. My husband and I will be outnumbered, so we are guaranteed to miss one daughter’s band-aid application or back-to-school night, unless we start seriously considering the addition of a sister-wife to even out our adult-to-child ratio. Several close friends have gotten emotional as they sent their kids off to TK or kindergarten this past week, and I recognize these emotions even though it is not yet our turn: we parents have always been there and now school is the first place we will miss out on watching them grow in new ways. I remember 10 years ago I visited a wild-life sanctuary in Australia and I watched a mother kangaroo struggle to carry her much-too-old teenage joey in her pouch. Back then, I felt sorry for her struggle. Now, as a mom, I believe that kangaroo is my spirit animal and was living the dream of always keeping her child close by. Just the other day Charlotte told me, “I wish I could be inside your tummy again, Mommy. Then we could be together all the time and I would never miss you.” How could someone so young, understand love so profoundly? 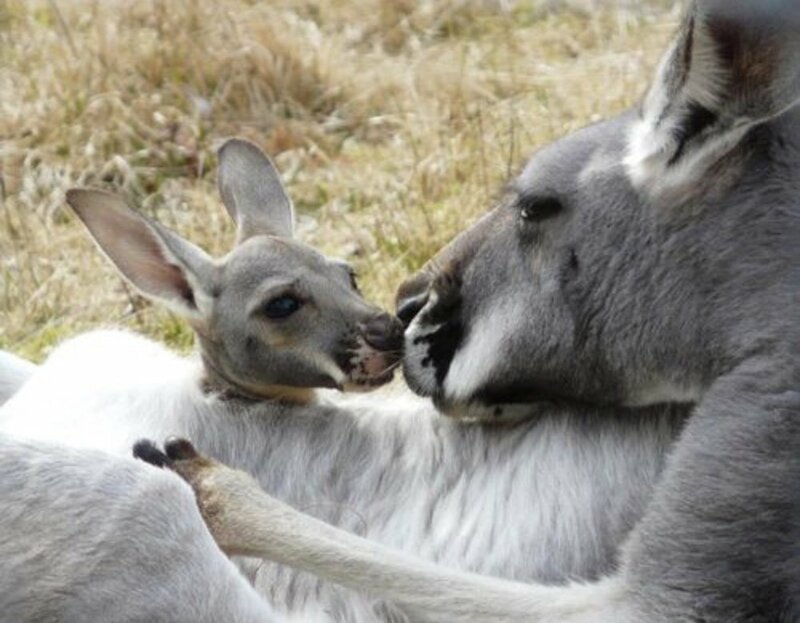 And so I will do my best to be present for every snuggle, invest in a bed larger than a California king, while channeling my inner Mama kangaroo, all without missing a beat.